We will be closed on Friday, April 26th. We apologize for any inconvenience. 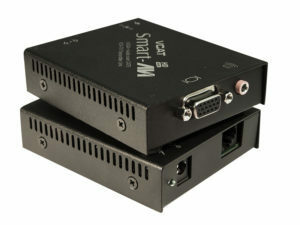 SmartAVI VGA Extenders extend VGA video signal range up to hundreds of feet. 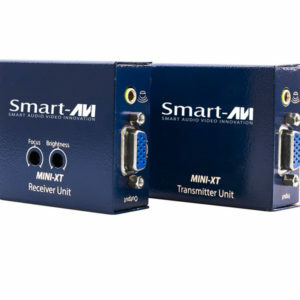 Plug-and-play ready, VGA extenders are easily installed and operated: don't let distance drag down your ideal A/V setup-- SmartAVI VGA Extenders are the best way to keep your VGA equipment connected and within reach! 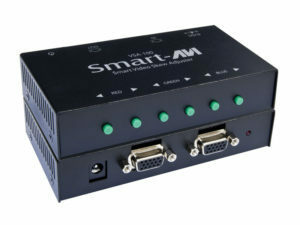 Extend high definition VGA and stereo audio signals up to 1,000 feet via CAT5 cabling with a compact, easily installable box. 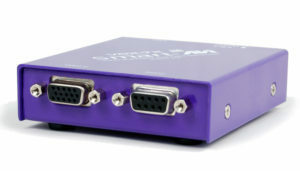 Extend high definition VGA and XGA video signals up to 1000 feet via CAT5 cabling. 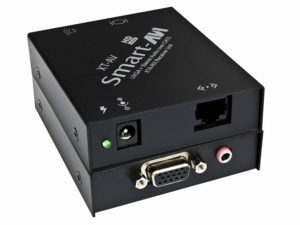 Extend high definition VGA, XGA, and stereo audio signals up to 1000 feet via CAT5 cabling. 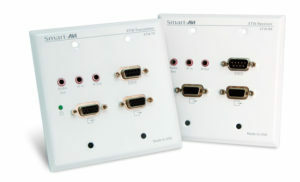 Extend VGA, WUXGA, and RS-232 signals up to 1,000 feet via CAT5 cabling. Extend high definition VGA video and stereo audio signals up to 1000 feet via CAT5 cabling. 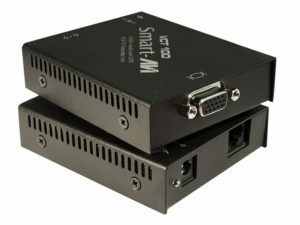 Extend high definition VGA video, IR, and RS-232 signals up to 1000 feet via twisted-pair CAT5 cabling. 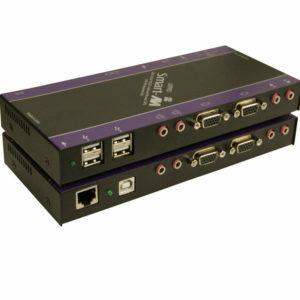 Extend high definition VGA video, stereo audio, IR, and RS-232 signals up to 1,799 feet via twisted-pair CAT5 cabling. 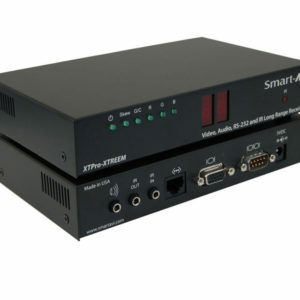 Extend high definition VGA video, stereo audio, RS-232 and IR signals up to 1,000 feet via wall plates with CAT5 cabling. Extend high definition VGA and Y/Pb/Pr video signals up to 1000 feet via twisted-pair CAT5 cabling. 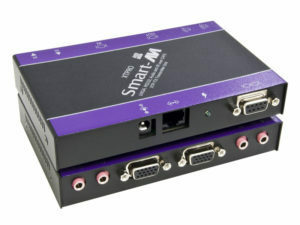 Extend high definition VGA video, stereo audio, RS-232, IR, and USB 1.1 signals up to 275ft via CAT5 cabling.